Who sponsors the Excellence in Education Awards? Who are the collaborative partners? Who can apply for an EDies Award? How can I nominate a teacher for an award? Where can I find school application information? What are the expectations for selected schools? How can my school get started in the process? Who should develop the written application? How long can the application be? Can we include supporting materials? Why should we use the School Excellence Competencies to prepare the application? How do school selection committees evaluate applicants? Can we include other evidence of excellence? Should the application be input or evidence based? How much detail should we include for each question? Which presentation formats are acceptable for the application? Which written format is most effective? Why should the application be organized sequentially? What is a good example of evidence of excellence? How much consideration is given to assessment results? When are schools notified whether or not they will be invited to present to the selection committee? What is the purpose of the presentations? What happens if my school is chosen for a site visit? How important is the site visit? How are the recipients determined? 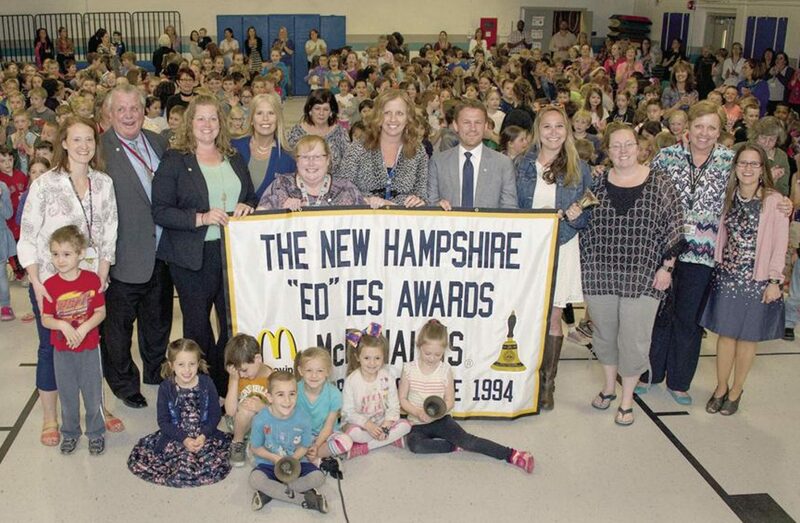 The New Hampshire Excellence in Education Awards Board of Directors and its collaborative partners host the annual EDies awards celebration. 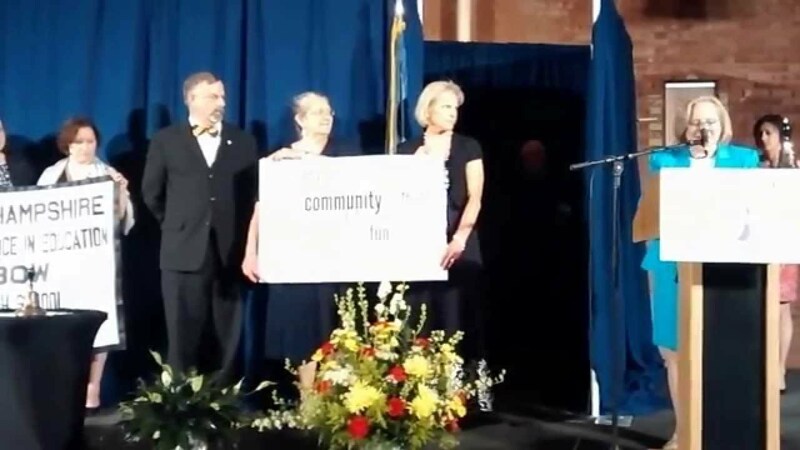 The Excellence in Education Initiative is an independent, nonprofit endeavor that is not a function of state government. A volunteer Board of Directors composed of educators and community members administers the program. Each professional education organization determines the criteria and selection process for their individual award(s). The Excellence in Education Awards Board provides the school recognition awards. The Schools of Excellence Selection Committee, composed of Board members and other volunteers, administers and coordinates the school awards under the guidance and oversight of the Board of Directors. McDonald’s Restaurants is the premier financial sponsor for the Excellence in Education Awards. Another key sponsor is the New Hampshire Municipal Association. More than thirty professional education organizations partner with the Board for this annual recognition event. A complete list of collaborative partners can be found at www.edies.org/Partner Organizations.htm. Eligibility for an individual award is determined by the professional education organization that sponsors the award. To learn more, contact the individual organization. A list of the organizations is available online at www.edies.org. Eligibility for school recognition is determined by the EDies Board of Directors. Program information is available online at www.edies.org. 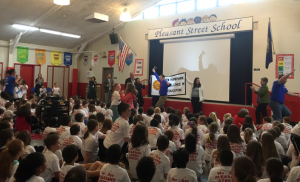 ALL New Hampshire public schools are eligible and invited to apply. Once a school has been selected as a School of Excellence they must wait five years before they can apply again. Schools that are confident in their practices and overall excellence and that want to serve as the statewide representative of excellence for their level are encouraged to apply. Nominations for an individual award must be made to the specific organization that sponsors the award. For example, nominations for English Teacher of the Year must be made to the New Hampshire Association of Teachers of English. Nominations for New Hampshire Teacher of the Year must be submitted to the New Hampshire Department of Education. 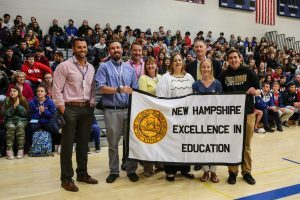 Information for the New Hampshire Teacher of the Year program is available online at www.education.nh.gov/recognition/toy.htm. Information is available online at www.edies.org, by email at info@edies.org, or by calling 800/852-3358 or 603/224-7447, Ext. 117. Selected schools serve as representatives of excellence for the many excellent New Hampshire public schools. Each selected school is expected to share its best practices and programs with other interested schools, through conversation, networking, on site school visits or participation in conferences or other professional events. Your school principal should have received a letter inviting him/her to apply. Application information can also be found on the EDies Web site. A written application that answers each application question and addresses corresponding Schools of Excellence Competencies indicators is required for consideration. We strongly encourage the formation of an application team for several reasons. First, the application is much easier to write if team members divide the writing for the different questions. Second, shared reflections among staff and community members will result in a better application and greater benefit for the school. Many schools report the self-assessment process is valuable and gives them an opportunity to recognize what they are doing well. Third, if your school is selected for an on site visit, a well-coordinated effort to demonstrate your school’s excellence is important. Excluding cover pages the written application must be FIVE pages or less. The purpose of the application is to give each school an opportunity to briefly describe and give examples of their best practices and offer a convincing case for a school visit. No supporting materials are accepted. Applications with supplemental material will be returned to the school. Schools that submit supporting material will be asked to resubmit their application in the correct format. Later in the selection process, a school selection team may request specific material from the school in order to evaluate the application or to prepare for the school visit. The request for material is at the discretion of the individual school selection committee. Why should we use the Schools of Excellence Competencies to prepare the application? Each selection team uses an Evaluation Rubric to rate each written application. The newly revised rubric was a collaborative effort and reflects the work and consideration of knowledgeable practitioners. It defines educational practices that are highly valued. Applications that respond to many rubric indicators are rated well. How do school selection committees use the Evaluation Rubric? The Evaluation Rubric is the guide used to inform committee discussion and decisions. Each selection committee member reads and evaluates applications submitted for that level. Committee members assess the strength and quality of written evidence provided for each application question using the Rubric. Schools with the strongest profiles of excellence are selected as finalists. Your school is encouraged to present its excellence as your school defines it. All of the available evidence and all of the evidence you provide for your school’s effectiveness will be considered. The application should include clear descriptions of effective programs and practices, with strong examples of how each program and practice is known to be effective. Your evidence of excellence is key to your application. Your statements of practice and examples of evidence need not be too detailed. The purpose of your application is to offer the selection committee a convincing case for an on site school visit. Since readers know nothing about your school, the application must paint a clear and cohesive picture of your school’s programs and results. One or two specific examples to back up each general statement are essential. General statements without supporting evidence are rated much lower. Sometimes less is more. One clearly defined example of teaching practice, student work and student learning that typifies your school practices can be very convincing. The overall application should not exceed five pages. The EDies Committee has evaluated whether to use varied presentation formats, such as PowerPoint presentations, videos, photo albums, etc. Since committee members are from different parts of the state and since technologies are not always compatible or available, for equity sake, a written application is still the format of choice. A cohesive, well organized and clearly presented application is rated strongest. The format may include a combination of narratives and bulleted lists, as well as excerpts from NEASC or other similar school assessment documents. Any excerpts from reports must be readable, easily understood and clearly correspond to an application question. Clearly written narratives or narratives with succinct bulleted items included where appropriate are most readable and very effective. Selection committee members and readers are knowledgeable leaders and committed volunteers with limited time. It is easiest for readers to review an application that responds to each question and rubric indicators clearly, concisely and sequentially. Each section should be labeled. If a reader must decipher, search for or cannot locate a response to a question or some evidence for an indicator, the application will be rated lower. Effective examples of evidence are brief descriptions of best practices that accomplish your school goals and that can be attributed to successful student learning outcomes or desired school results. Selection teams look for overall profiles of excellence. Each applicant is asked to provide a variety of evidence for student learning and progress. Assessment results are one type of evidence considered. Selected schools are those that provide strong examples of evidence as described in the application. Schools will be considered regardless of failure to meet AYP, minimum standards or status on a Needs Improvement list. However, schools on any identification list must clearly explain the context for their excellence and present evidence that supports student learning, improvement and progress. The school selection team will weigh all of the evidence provided. Schools are notified of their selection as soon as the selection committees have completed reading and evaluating all of the written applications submitted. Selection committees give each application careful consideration. They discuss the strengths for each application and select the few that provide the strongest profiles of overall excellence. This occurs no later than February 27. The purpose of the presentation is to allow schools to expand on their application and to provide further information, support and evidence to support their application. Schools are typically given fifteen minutes for their presentation, with time afterwards for questions by the selection committee. Each school is invited to host a half-day site visit to demonstrate its excellence. The school selection committee contacts the school to schedule the site visit and provides some general guidelines for the visit. 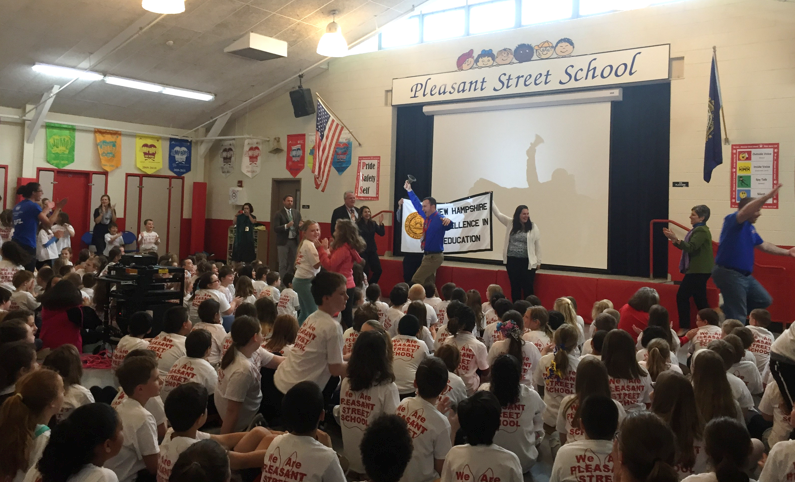 The site visit itself serves as a celebration of the school’s accomplishments. A school will need to support statements made in the application. The site visit is a significant part of the selection process and strongly influences the final decision. While the application provides a background of information, the site visit gives each selection committee member the opportunity to comprehend the school culture and to observe school programs and practices firsthand. Committee members look for an engaging and supportive school environment, as well as evidence of student learning and best practices. Once the site visit is complete, school selection teams meet again to determine the award recipient. The committee uses the Rubric to evaluate the strength of all of the evidence presented. The final decision includes both objective and subjective considerations. Knowledgeable committee members use their best judgment and collaborate to make their decision. Schools with the strongest profiles of overall excellence are chosen. To ensure program quality, each selection committee then presents their final selection and reasons for the selection to members of the “ED”ies Board of Directors for their approval. Finalists and the Schools of Excellence will be determined after all visitations have been completed. Announcements will be made during the week of April 17 announcing the recipient of the award and any finalists for the award. 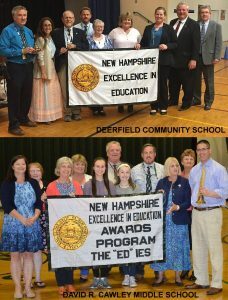 Both finalist and recipient schools are celebrated at the annual awards event in June. Each Finalist receives a plaque, a commendation from the Office of the Governor and recognition at the annual event. Each Statewide Representative of Excellence receives an EDies bell, a banner, a framed certificate, a cash award of $2000.00 from McDonalds Restaurants, a commendation from the Governor and recognition at the annual event.